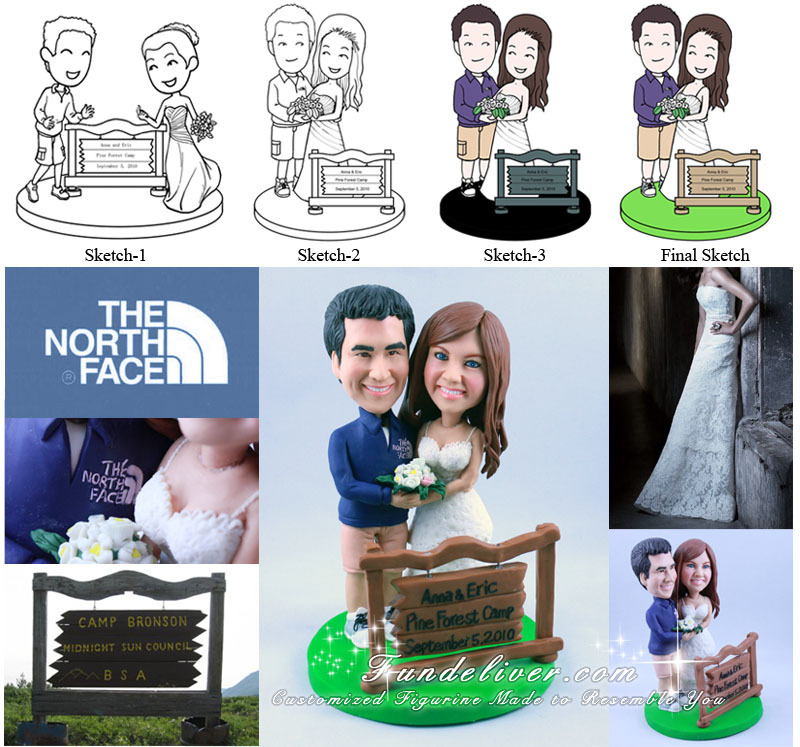 This is a completely customized Camp Theme Cake Topper ordered by one of our customers. They would like a good, old-fashioned handholding pose and the groom in a Blue North Face Fleece shirt, khaki shorts and gray sneakers. He was a former football player, so they would like the groom’s figurine to have SUPER muscular calves. For the bride, she would like the figurine in white dress with lace and little lace straps going up from outside of the chest. A "campy" style sign (brown and wooden looking) was added saying “Anna and Eric, Pine Forest Camp, September 5, 2010”, that is why we call itCamping Wedding Cake Topper even there are no lantern, fire and tent.